The Place Taking over the space of what was previously House @ Dempsey, Greenwood Fish Market is not an unfamiliar name. Their first outlet, as its name suggests, opened at Greenwood Avenue. The brand has expanded quite rapidly the last few years which includes their third outlet at Valley Point, with the Dempsey outlet being the fourth and the newest to open. The Dempsey space is very spacious. It’s pretty nice to dine here as I like greenery around me. There are pockets of space where you can enjoy some dining privacy, so I can imagine that it would be quite a romantic dining ambience in the evening. At the front of the restaurant, you can get fresh seafood. There’s even a bakery section before you step foot into the restaurant space. The Food I have the preconceived notion that Fish & Chips is one of the few options on the menu, not realising that the choices are quite varied. For one, the oyster selections are diverse from S$4 each, along with crustaceans like Alaskan King Crab (market price), Mud Crab (S$90) and Boston Lobster (S$85). Other seafood options include various fish fillets, clams and mussels. I’m surprised the menu even has Japanese sushi and sashimi. Seafood aside, there are also pasta selections, steaks and lamb. For a start, the Fried Truffle Mushroom (S$14) is addictive. Never mind the fact that there’s almost no hint of truffle, the crispy fried bits are good enough for a sinful afternoon. Another starter I tried is the Sweet Potato Risotto Crab Cake (S$19). Served with black pepper aioli, the portion is not that big for the price. The crab meat fillings are pretty generous and probably due to the sweet potato element, I was filled even after a small bite. For pasta, the Aglio Olio (S$19) is quite al dente in texture. It is a decent rendition, though I think that pasta is not the forte of Greenwood Fish Market. On to mains, my word of caution is that the portions are generally quite big. 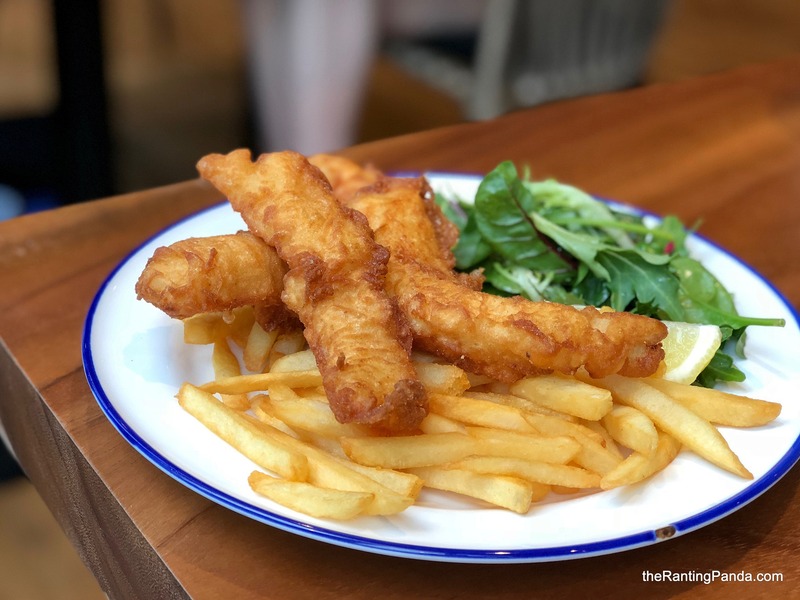 The Fish & Chips (S$21) for instance comes with three fried strips of catfish along with fries and salad. The texture is crispy and the fish meat itself is quite fresh. Come with a big appetite. For the price, this dish is quite value for money. I also had the Seafood Basket (S$35), which is the option to go if you prefer an assortment of seafood. There are battered snapper fish, calamari, New Zealand mussels, prawns and scallops. In fact, this huge basket is good to share for two and there is no need to order a separate Fish & Chips in my opinion. Rants There is a common trait for all the Greenwood Fish Market outlets, as they are all not very accessible without a car. Will I Return Again? The cosy space at Dempsey makes it a nice spot for a quite gathering with friends or a casual date. Prices are fairly reasonable too, which makes it quite a good spot to satisfy my Fish & Chips craving in future.